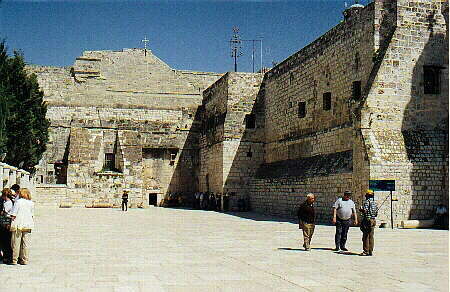 This Church is considered to be built over the place of Christ's birth. This Church was built by Queen Helena in 329AD. The church is built above a cave which may have been the place of Christ's birth. The cave has a star embossed unto the floor which represents the place of Christ's birth. Within the church there is a recessed area on the right which marks the place where the manger stood. Stay Tuned ! !